LEARN TO LIVE A MAGICAL LIFE WITH THE AUTHOR OF THE MAGISTER, TAROSOPHY & SECRETS OF THE WAITE-SMITH TAROT. 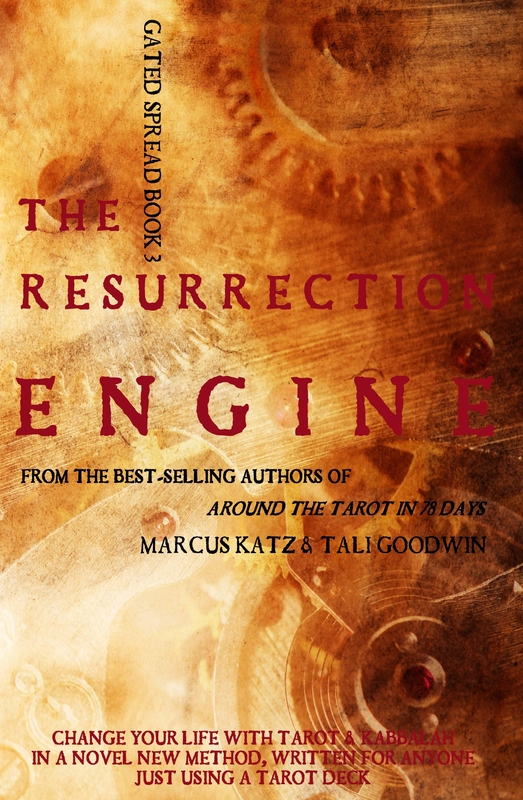 Marcus Katz is the author and co-author of over 35 books on Western Esotericism, Divination and Magick. He was the first student in the world to be conferred with an M.A. in Western Esotericism from the University of Exeter. Marcus was initiated into Witchcraft when he was 18 by a coven working from Patricia Crowther, a High Priestess who worked with Gerald Gardner. 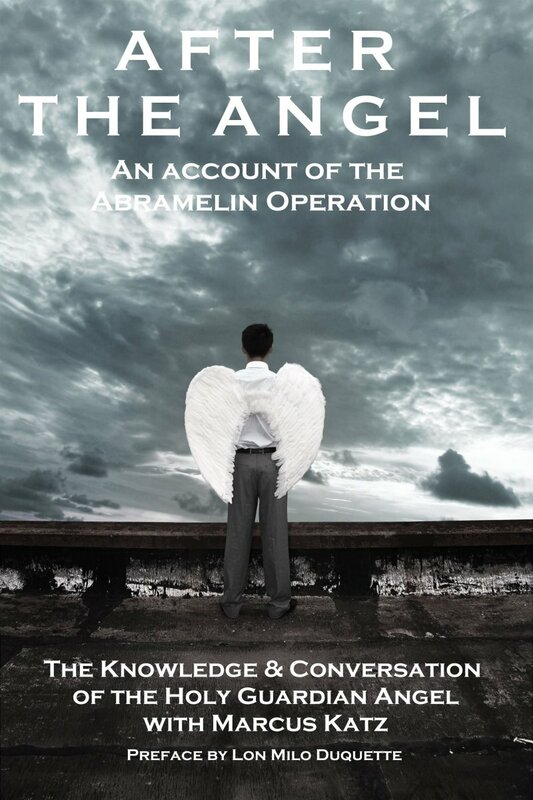 His account of working the Sacred Magic of Abramelin the Mage to gain the Knowledge & Conversation of the Holy Guardian Angel is published as After The Angel. He has worked with rituals and magic for a lifetime and developed the Western Esoteric Initiatory System (WEIS) as an authentic form of spiritual practice for contemporary individuals. 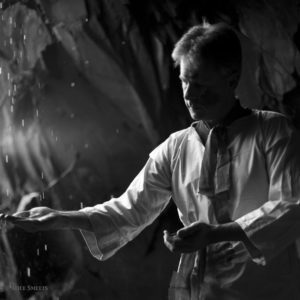 Marcus has taught tarot and magick to groups across Europe, Australia, USA and South America for decades and now offers teaching through the Crucible Club and the Order of Everlasting Day. Register for our FREE Neophyte Journal and receive regular esoteric insights and magical methods. Discover our award-winning & best-selling books on tarot, lenormand, alchemy, witchcraft and magick available in paperback and on Kindle. Join the Tarosophy Tarot Association for a ten-hour video course in tarot, over 32+ back issues of Tarosophist International magazine and many more benefits. Explore and experience a new world of tarot as you adventure in the Twelve Realms! 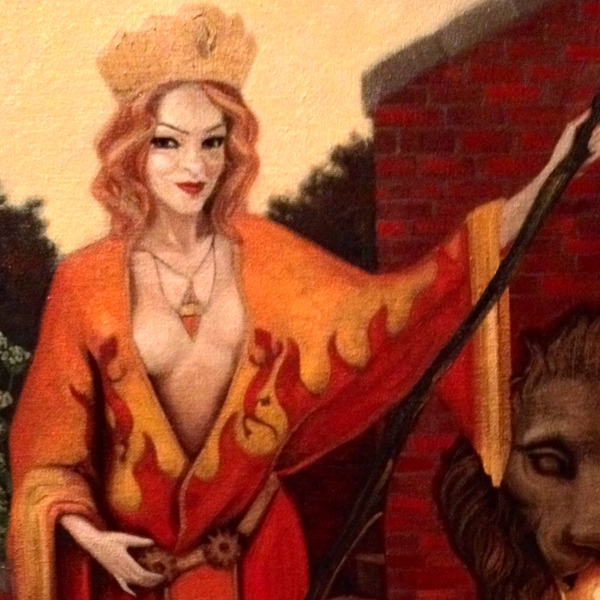 Learn tarot as a living art to change your life. Become a student of Magicka School and access popular courses on Witchcraft, Herbalism, Kabbalah, Alchemy, Spellcrafting, Candle Magick, Ancient Egyptian Magick and more. 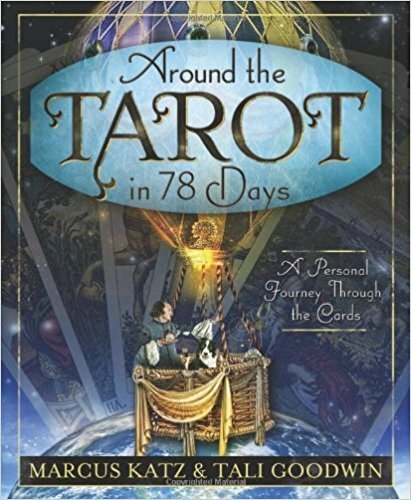 Explore the work of leading author and researcher Tali Goodwin, co-author of Around the Tarot in 78 Days, Abiding in the Sanctuary, Learning Lenormand and other innovative titles including Tarot Life. Receive your own unique Inner Guide Workbook written for your personal birthchart. The workbook contains instructions for this powerful meditation and a step-by-step process. I have over 35 years experience reading, studying and writing about tarot. Your reading will be unique and specific to your issue, using my own Tarosophy methods developed over 10,000 face-to-face readings. 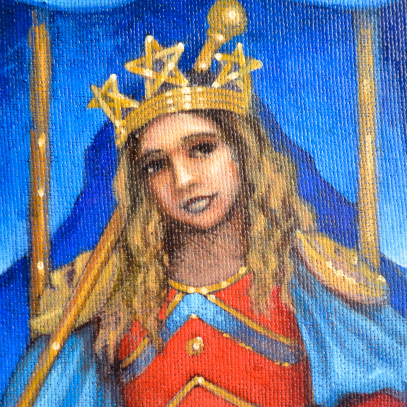 Check out our Andrea Green site for a full description of the meaning of every card in a tarot deck. The site also offers a FREE guide to meanings and useful spreads to get you started reading tarot. I recommend Lyn Birkbeck for Astrology charts, personal consultations, reports and the CLAVIS Astrology course. Lyn is a leading author and experienced Astrologer. 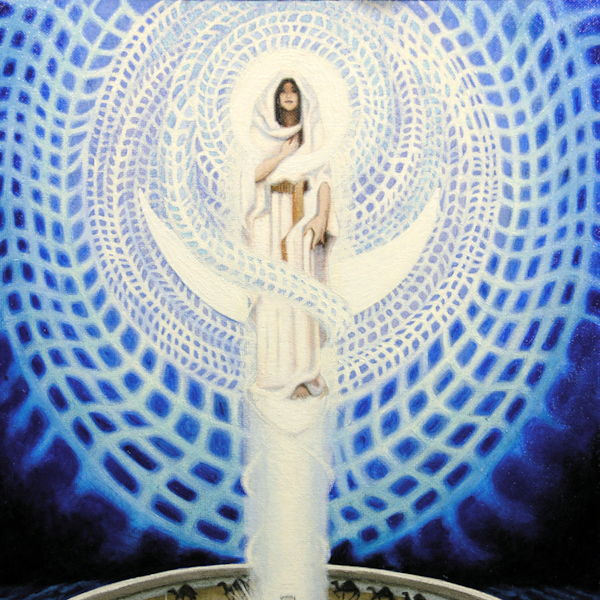 Members of the Order work with the powerful images of the Tarot of Everlasting Day by award-winning Canadian artist, Janine Hall. Discover the Western Esoteric Initiatory System (WEIS), Tarot Reading, Magick and Alchemy in our Award-Winning & Best-Selling Books. Scroll horizontally to view all titles. 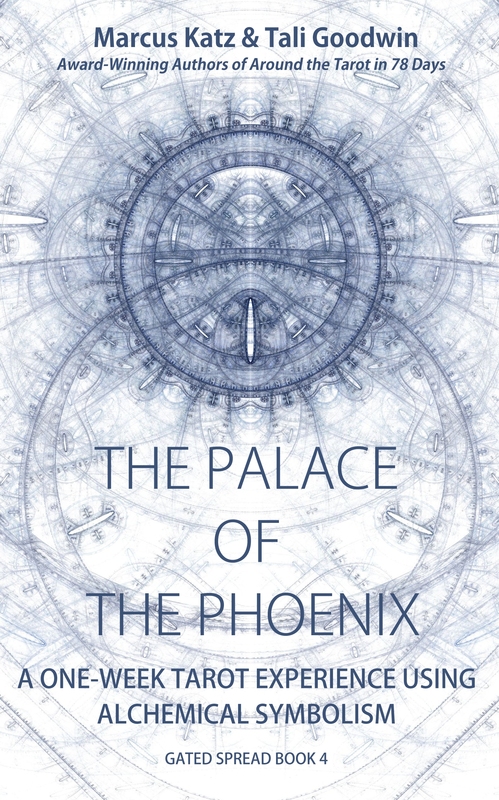 The most comprehensive account of Western Esotericism, featuring a full history of magical orders, magicians and rituals. The first volume of an 11-volume series charting the entire Great Work. The next volume (2018) covers Astral Travel, Dream Work and the Psychology of Magick. 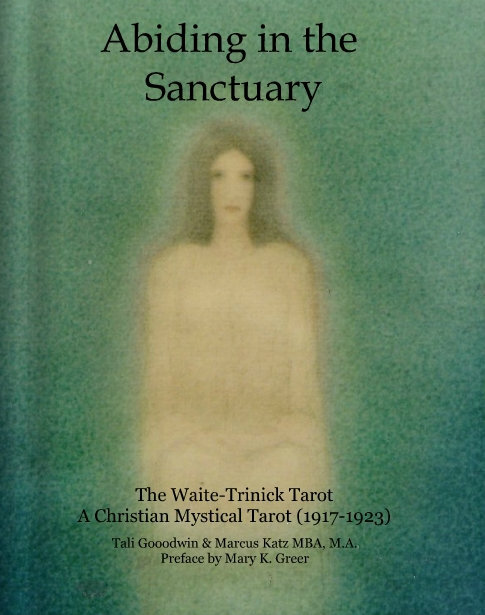 It is not often that book comes along that really changes the way we understand tarot. 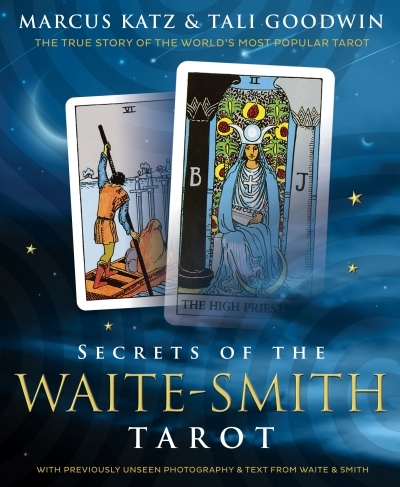 Marcus Katz and Tali Goodwin are incredibly thorough and dedicated researchers who have written a book that will change almost everything we think we know about the Waite-Smith Tarot. – Barbara Moore. "A magic carpet ride through 177 Groundhog Days, composed of an eternity of a Desolation Row-like hard rock symphony of spiritual practice performed by an intelligent, inspiring, erudite English Mystic" - Georg Dehn. 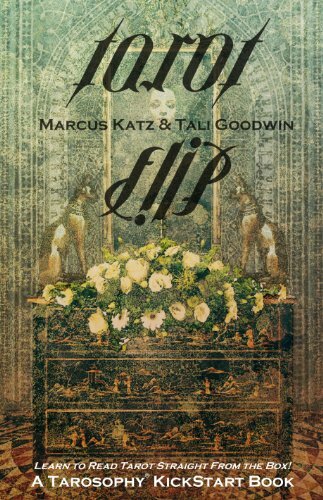 Join authors Marcus Katz and Tali Goodwin as they share reading methods, card meanings, and spread ideas based on the most important developments in the history of tarot and playing card reading. 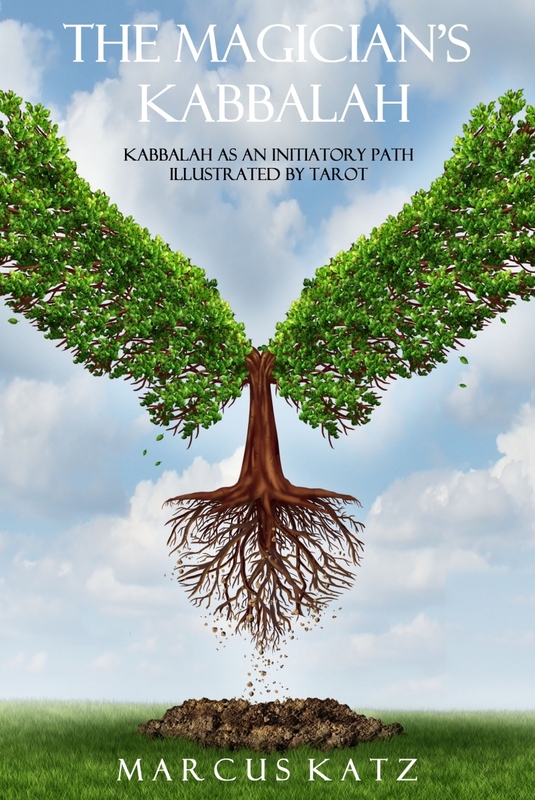 In this book for the first time is clearly laid out the entire map of spiritual progress in the western esoteric initiatory system illustrated by tarot on the Tree of Life. Tarot Card Meanings from Real Tarot Readers. 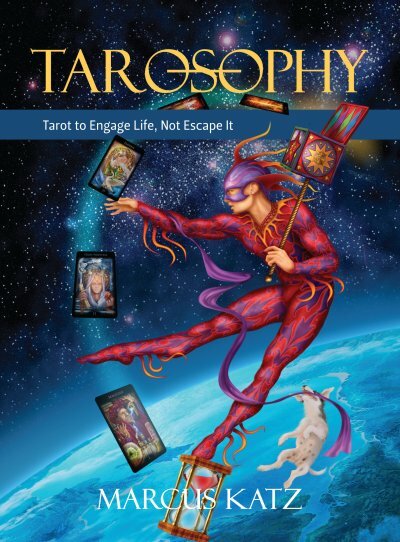 In this exclusive and innovative Tarosophy® KickStart Guidebook, you will discover the actual meanings of the Tarot cards as they have come to be seen by a range of experienced Tarot Readers. A Complete Workbook for Tarot. 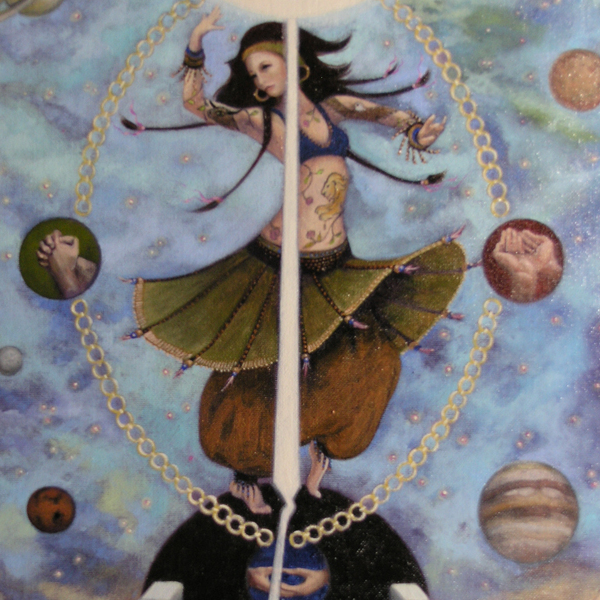 Journey into the exciting world of tarot with this comprehensive 78-day course. Uniquely presented in a one-card-per-day format, this workbook provides a solid foundation in tarot―and offers new ways to enrich your life using the wisdom of the cards. 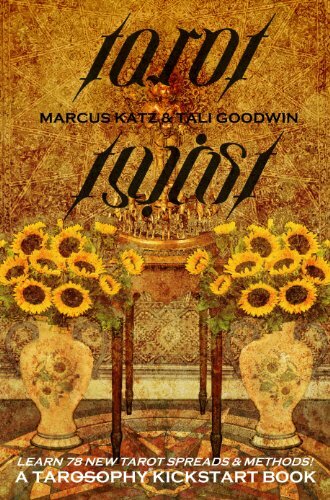 Twist your Tarot with 78 innovative spreads and methods from award-winning tarot authors Marcus Katz & Tali Goodwin! Learn how to create your own unique spreads from any question to provide truly profound readings for yourself, friends, family or paying clients! A New Way of Using Tarot to Change Your Life! Tarot Life is a revolutionary way to change your life though the power of Tarot. In a series of 12 magical exercises, with nothing more than a Tarot deck, you will be taken on a life-changing journey to discover your destiny. Along the way you will learn unique methods of reading tarot for yourself and those around you. Discover the Spiritual Aspects of Tarot. 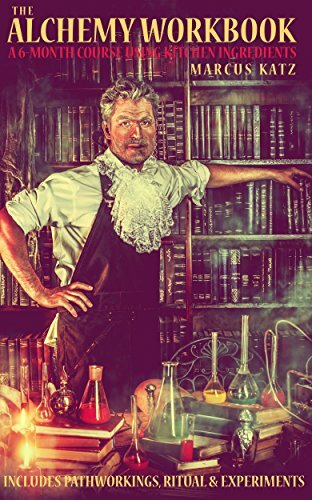 Discover the Secrets of Alchemy in your Kitchen! Using little more than kitchen salt and a few basic ingredients, discover how to apply alchemy in your life, turning the lead of everyday life into the gold of spiritual transformation! This workbook contains everything you need to experience the magic of alchemy; simple practical exercises, dream-work , visualisation, and rituals. A unique way of experiencing the Tarot. The Tarot Shaman is a totally new way of using Tarot cards suitable for all levels! In this book you will learn to Go on a unique tarot walk Find a power spot and Connect to your personal animal spirit. You will also build a tarot dreamcatcher and mandala to use to honor your animal spirit - all just using a tarot deck! 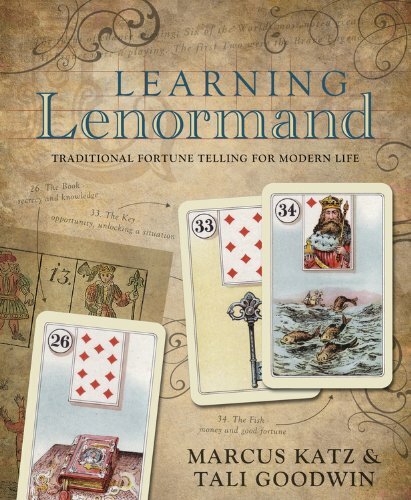 The original meanings of Lenormand cards! The original English language instructions from 1796 for reading what is now called the Lenormand Deck. 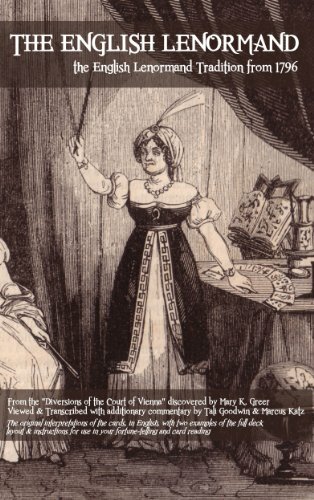 In this piece of ground-breaking research, discovered by Mary K. Greer, you will learn the simple roots of this fortune-telling tradition, in English, by an anonymous author. A full guide to this powerful & popular spread. 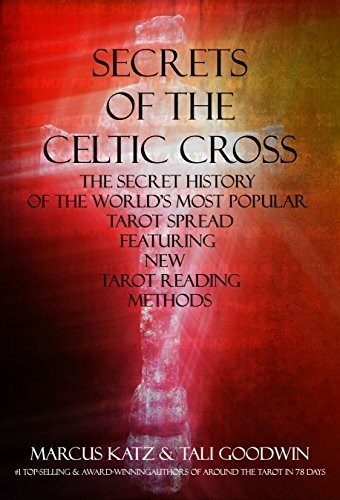 The Celtic Cross is the world's most popular Tarot spread and has been used since its publication in 1909. However, the true author of the spread and its first use in the secret Order of the Golden Dawn has never been revealed until now. A.E. Waite's Second Tarot - Revealed! A. E. Waite returned to Tarot ten years after his first deck and created another set of 23 Tarot images, to be kept for use in his private Fellowship of the Rosy Cross. A century later, these images can be revealed for the first time, in over 80 colour and b&w plates, extensive commentary and biographies, researched, revealed and discussed by Marcus Katz & Tali Goodwin, with a preface by Mary K. Greer. 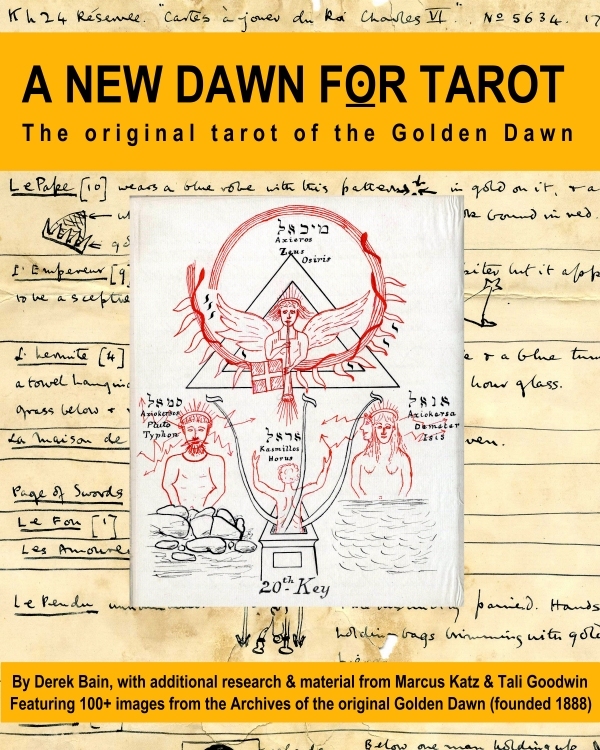 The original tarot of the Golden Dawn. 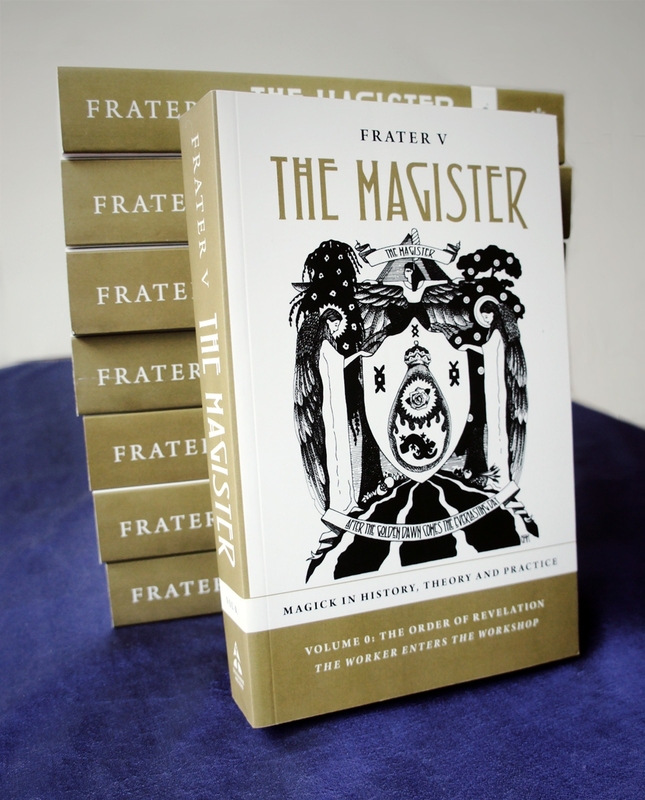 In this ground-breaking book, you will see for the first time in a century almost one hundred of the original documents and drawings of the Order of the Golden Dawn (founded 1888). Develop insights into your relationships. 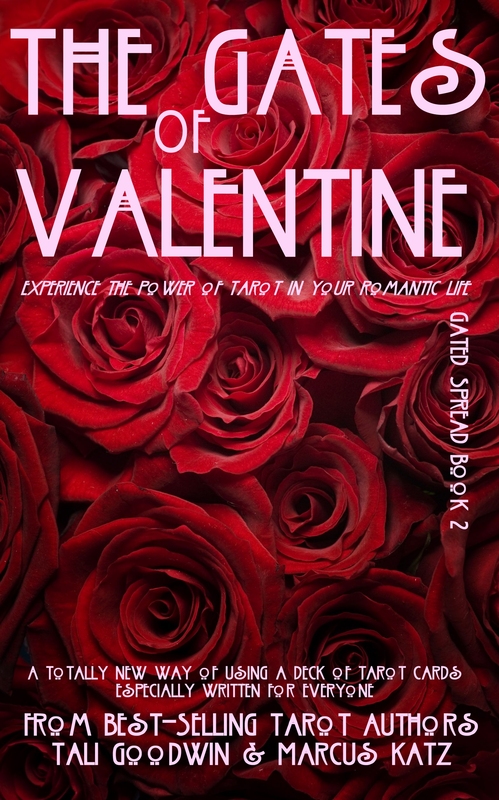 The Gates of Valentine is a totally new way of using Tarot cards to understand the relationships in your life, leading to a deep and surprising conclusion. 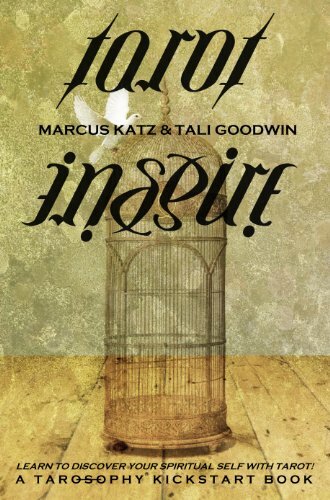 It is the second of a unique 6-book Tarot series brought to you by award-winning and #1 top-selling tarot authors Marcus Katz & Tali Goodwin. Activate the Alchemy in your Life. In this 1-week method you can experience - with nothing more than any 78-card tarot deck - new ways of understanding alchemy, and in the process deepen your skills at reading tarot! Reclaim That Which You Have Lost. In this 1-week method you can experience - with nothing more than any 78-card tarot deck - new ways of understanding tarot, kabbalah and recover what has been lost in your life. In the process, at any level, you will deepen your skills at reading tarot! 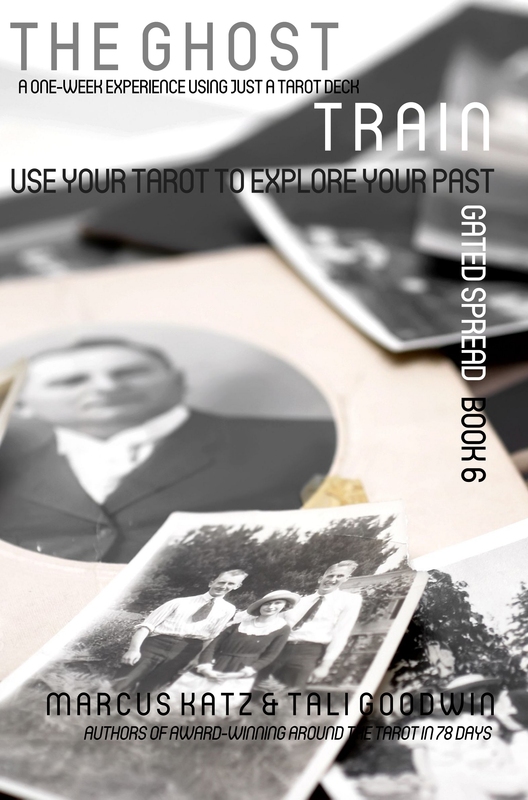 Connect with your ancestors using your tarot deck. In this 1-week method you can experience - with nothing more than any 78-card tarot deck - strange coincidences and real magick in your life. 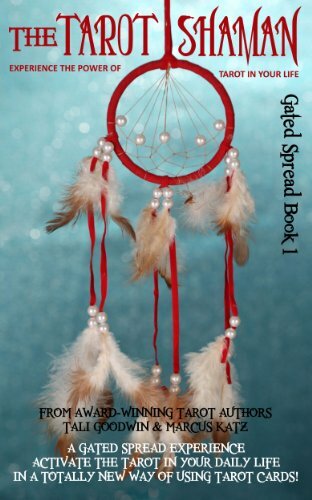 You will use the simple series of "gated spreads" to carry out tarot card readings and make changes in your life based on these spreads. If you are an absolute beginner, the book also contains a link to our unique FREE 22-page guide to tarot card meanings and 9 basic spreads for further practice. Create Fiction & Poetry with Your Cards! 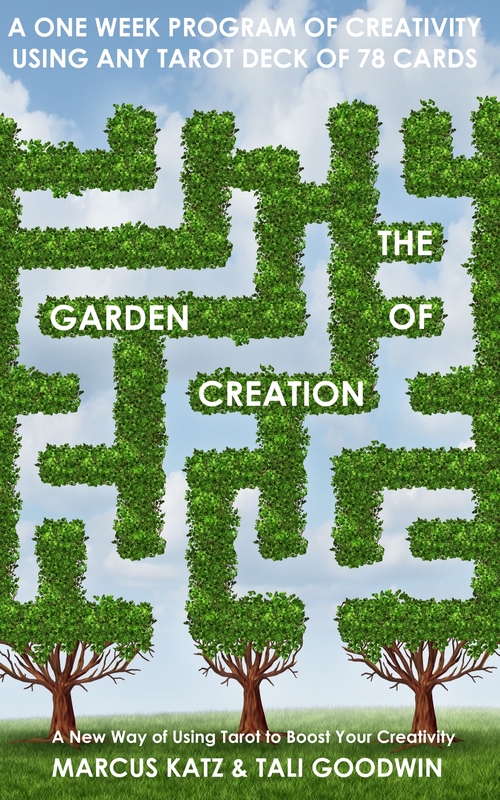 The Garden of Creation is a totally new way of using Tarot cards to get creative, brought to you by award-winning and #1 top-selling tarot authors Marcus Katz & Tali Goodwin. In this 1-week method you can experience - with nothing more than any 78-card tarot deck - new ways of creating fiction and poetry, and in the process deepen your skills at reading tarot! 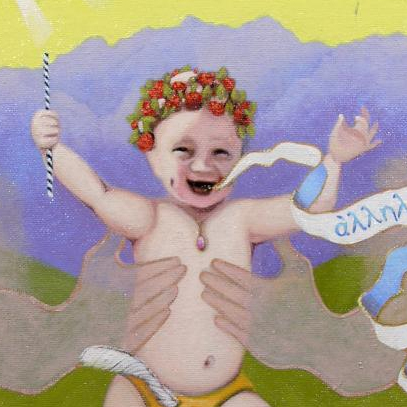 A NEW BENCHMARK FOR TAROT PUBLISHING. 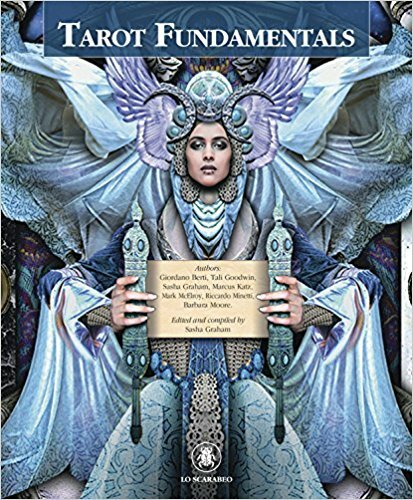 A labor of love ten years in the making, Tarot Fundamentals is Lo Scarabeo's authoritative compilation of tarot knowledge. With thorough perspectives on tarot history, reading, spiritual work, card meanings, and more, this full-color volume is an indispensible reference for beginners and adepts alike. 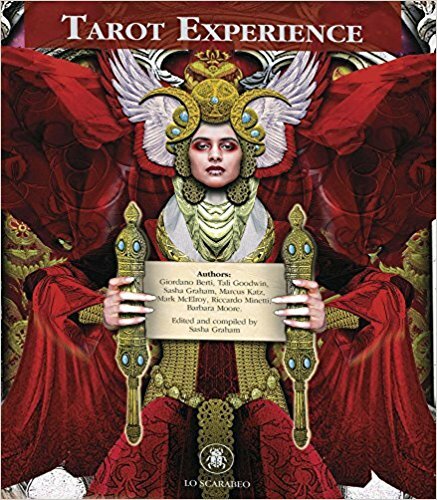 Includes more than 400 color illustrations and contributions from a wide range of tarot experts, including Sasha Graham, Barbara Moore, Mark McElroy, Marcus Katz, Tali Goodwin, Giordano Berti, and Riccardo Minetti. 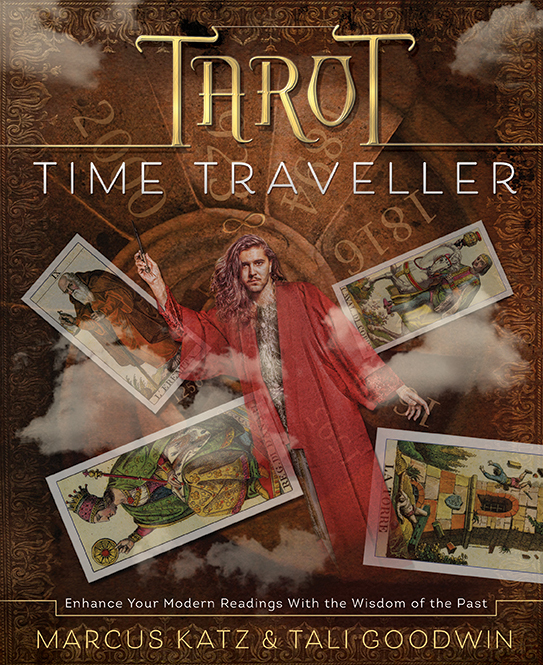 A labor of love ten years in the making, Tarot Experience is the second volume in Lo Scarabeo's authoritative compilation of tarot knowledge. 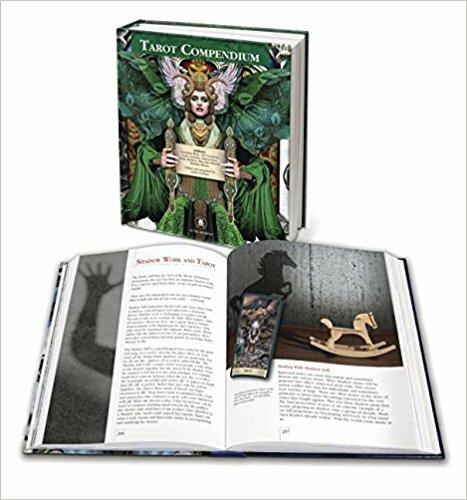 While the first volume, Tarot Fundamentals, focused more on general principles and basic knowledge, this book is more hands-on and personal, full of practical suggestions, spread guides, and specific reading techniques. The Third Epic Volume of This Series! A comprehensive full-color tarot book from Lo Scarabeo. This third volume completes the set, along with Tarot Fundamentals and Tarot Experience . 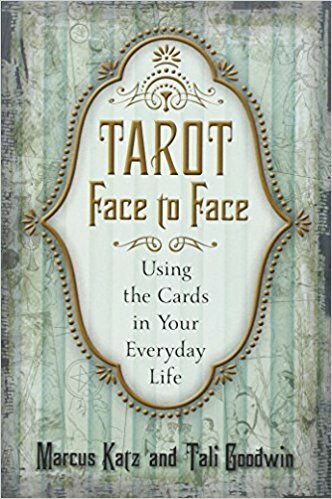 This hardcover book focuses on advanced tarot ideas and practices, exploring esoteric disciplines as they intersect with tarot. Read the I-Ching in a Simple Way! Inspired by a previously overlooked and forgotten method used by the notorious magician Aleister Crowley, these 18 counters are a simple and sublime method of divination using the worlds most ancient oracle. 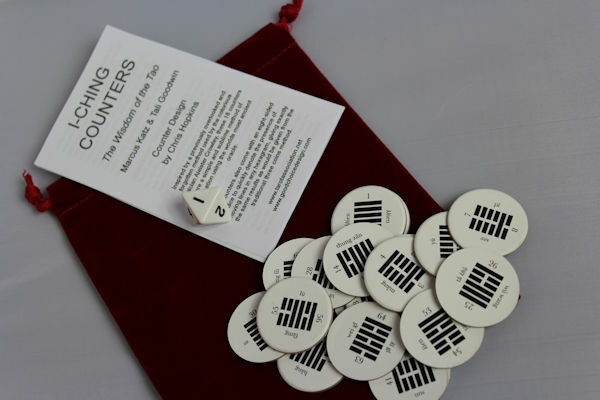 The counters also come with an eight-sided dice to quickly denote the presence of moving lines in any hexagram, giving exactly the same results as would be given from the traditional three coins method. Each set comes with a red draw bag and 20-page booklet providing the history of the oracle, Crowley's use of it, brief interpretations of the Hexagrams and further reading. Marcus Katz is one who knows, where others can only dream. award-winning author of 78 Degrees of Wisdom and 12 books on the Tarot. Marcus Katz is changing the landscape of esoteric teaching. Occult of Personality Radio Show. An intelligent, inspiring, erudite English Mystic. Author, The Sacred Magic of Abramelin. For all inquiries about the Work in which we are engaged, interviews, etc. or correspondence for Marcus, in the first instance please contact Charlotte Louise using the form below or pa@celestialcanopy.com. For questions with regard to books published by Llewellyn, please contact Llewellyn at customerservice@llewellyn.com. The Western Esoteric Initiatory System is a valid and authentic path of magical and spiritual development attuned to contemporary life. The Aim of this initiatory journey is simply to experience existence as it actually is, prior to all interpretation, as an ongoing state of awareness. It is the culmination of all forms of enquiry, and is the end of all seeking. 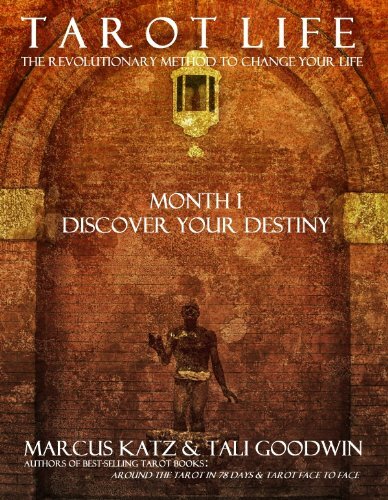 Now you can discover the Western Esoteric Initiatory System (WEIS) as taught by Marcus Katz, award-winning & best-selling author, and creator of THE MAGISTER. … an important and attractive combination of forces to meet the demand of thinking people for genuine culture in spiritual science under the best auspices and on easy terms. We have now restored this club to the modern age, and invite all who seek to discover the magick of their life and reveal their true self to join us in a comprehensive one-year self-study course in Western Esotericism. The Crucible Club teaches the Western Esoteric Initiatory System® as developed by Marcus Katz for radical spiritual, psychological, magical and mystical transformation in your life. The Crucible Club is $19.99/month for twelve months and includes all materials and membership of a private Facebook group. 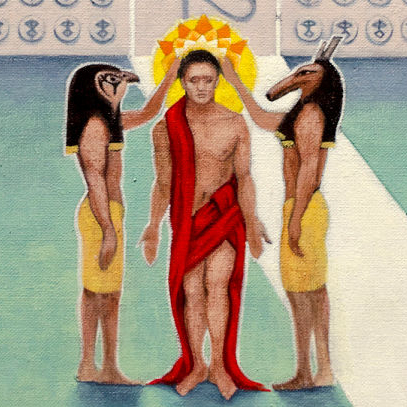 Students who complete the work of the Crucible are invited to apply for membership of the ORDER OF EVERLASTING DAY, a network of individuals working within the Western Esoteric Initiatory System to the Knowledge & Conversation of their Holy Guardian Angel. Please use the link below to create your subscription to the Crucible Club. You will receive your first materials within 24 hours of subscription and commence a year-long journey into the mysteries. We teach from the original papers of the Hermetic Order of the Golden Dawn, Thelema, Alchemy, Kabbalah, Tarot and Western Ritual Magick, covering experiences as diverse as astral travel, divination, inner guide meditation work, the Tree of Life, lucid dreaming, mystical experience and spiritual development.